The Fra Mare Thalasso SPA Beauty World provides first-class service, an intimate and private atmosphere, a personal approach and a lovely seaside milieu. Indulge yourself in Thalasso beauty treatments, luxurious baths and range of massages offer the quickest way of breaking out of your everyday routine, lifting your spirits and spoiling yourself. Your skin and hair form an invaluable asset which requires the best care – and as such we only use beauty products that are of the highest quality. A peaceful atmosphere, enjoyable moments, and finding time for yourself. Our beauty world treatment rooms are located on the first floor of the Thallasso Hotel and are open to clients every day. The Fra Mare Thalasso SPA Beauty World is here for you! Fra Mare Thalasso SPA Beauty World! Fra Mare`s hairdressers use the high quality products of SCHWARZKOPF. the hair mask is applied to the washed hair with gentle massage and then heated under the hairdryer for approximately 10 minutes; then the hair is thoroughly rinsed. NB! You can also purchase Schwarzkopf products at our parlour for home use. 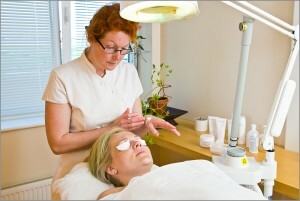 Fra Mare`s cosmeticians use products made by the German company BIODROGA. In addition to the usual facial cleansing, hair and décolletage massage services, we also offer various special facial and body care procedures. Procedure with skin-stretching and strengthening effect with 100% clean collagen. Also ideal for the area around the eyes. Fra Mare`s pedicurists use the Allpresan. NB! Also available – special foot cream for diabetics! After a manicure and pedicure it is very useful to apply a PARAFFIN MASK to the hands and feet. Paraffin has a substantial heat capacity and works like a mini-sauna. It expedites the penetration of moisturising substances into the deeper layers of the skin, improves its blood supply and facilitates the opening of the skin pores. Dry skin becomes soft and acquires a healthy hue. sensitivity disorders in the members.